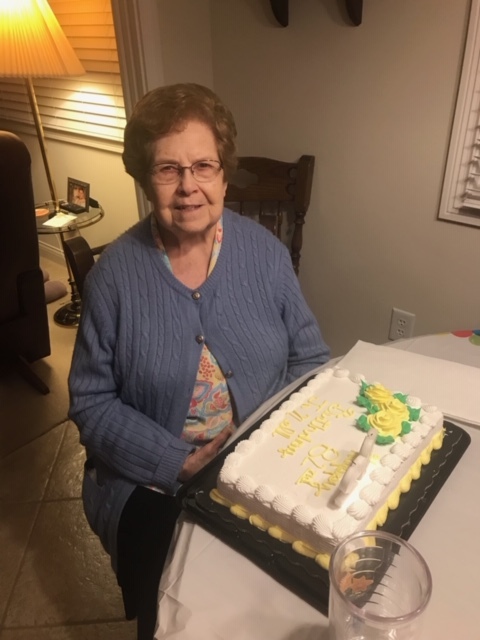 Jo Nell West, 82, of Indianapolis, IN formerly of Clay passed away Monday, March 18, 2019 at Westminister Assisted Living in Indianapolis, IN. Jo Nell was born March 10, 1937 in Clay to the late Simon and Beulah Haner. For many years she was a bank teller at Comerica Bank in Detroit MI. She is preceded in death by her husband Calvin West in 2017 and a sister Evelyn Railey in 2018. Survivors include 4 sisters Majasca "Jackie" Cobb of Evansville, IN Edith Cowan of Yorktown, VA Patsy Shoulders of Springfield, IL and Rayma Sheridan of Indianapolis, IN. Funeral services will be Thursday, March 21, 2019 at 1:00 PM at Vanover Funeral Home in Clay with Bro. Johnny Hibbs officiating. Burial will be in Oddfellows Cemetery in Clay. Visitation will be Thursday 12:00 PM til service time at the funeral home.